Charlsye Smith Diaz, Ph.D.: Do you take advantage of your voice mail system’s functionality? Do you take advantage of your voice mail system’s functionality? Our university got a new voice mail system, which is a good thing because I no longer knew how to change my external greeting. Plus, it may have several typical factual errors. Hello. You have reached Charlsye Smith Diaz, coordinator for professional writing at the University of Maine. Your call is very important to me, but I cannot answer the phone at this time. If you would leave me a message after the tone, I will return your call as soon as possible. First, Your call is important to me. Honestly, if you are like me, you have at least one caller whose message is not important. It’s just not. Second, I can’t answer the phone at this time. You probably knew that when the voice mail connected. It was probably so obvious that you really didn’t need me to tell you. Last, I’ll return your call as soon as possible suggests I’m steps away from my phone, but that’s probably just not true. I work away from my desk a lot. 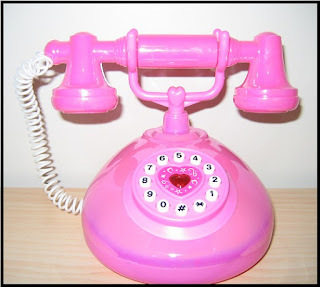 With the new voice mail system, I want to change the way I use the office phone. even a detail like voice mail can be handled each day. I can’t be as obsessive as this attorney; plus I'm sure he receives many more voice mail messages each day than I do, but I found a few things I can do to make the voice mail system more efficient for me. First, I broadened the use of the phone. It will now be used by our program in professional writing and our program assistant will be able to access it. Calls about the courses we offer or internships or students can go to one place rather than to two or more. I remember my first answering machine in college. Now, instead of a machine, there’s a system. It does a lot more than beep and record a message until the tape runs out. I will use the system’s functionality more efficiently by having voice mail messages emailed to me, which will enable me to pick up messages via my smartphone. This completely cuts out having to remember to check for messages while out of the office. Last, I’m going to try to be more honest in the external greeting so that people have more confidence in receiving the type of response they need. In addition to changing the purpose of the phone itself and changing the outgoing greeting, I’m also going to try to do a better job of using voice mail to manage time. My writing partner Vicki Voisin, ACP offers great advice about how to do this. If the solution is easy—if my husband can pick her up—he can text a quick response. If we have a problem, then he can call to discuss a solution. Voisin also recommends changing the outgoing greeting so that it provides enough information to help a caller get what they need. If you are out of the office, the message should explain how to reach you or how to find a person who can help. One voice mail system allows you to save up to 50 different outgoing greetings. I am dazzled by that because I’m either in the office or I am not. To read other great tips for using voice mail to manage your time, you can find Vicki’s article here. And, honestly, most people know if they need me really fast, they can find me on Twitter. Such is life in 2012.